The World Health Organization has received widespread praise for its quick response to an Ebola outbreak in the Democratic Republic of Congo, although observers warn prevention and information to affected communities remain insufficient. The UN health agency has been scrambling in this outbreak to prove it has learned its lesson after bungling the initial response to the 2013-2015 Ebola epidemic in West Africa. WHO underwent a massive reform after being slammed for responding too slowly and failing to grasp the gravity of that outbreak until it was out of control. Ultimately, that outbreak claimed more than 11,300 lives. So this time, the UN agency jumped into action as soon as DRC on May 8 officially declared that Ebola had surfaced in rural northwestern DRC in a remote location called Bikoro. Peter Salama, WHO’s head of emergency response, pointed out this week that clinical care facilities have been set up, an air bridge has been established to Bikoro, emergency financing has been mobilised, protective gear and emergency medical kits have been supplied. In addition, a targeted vaccination campaign has begun and more than 120 WHO staff have been deployed alongside numerous staff from other organisations, under the leadership of the DRC government. “Certainly, in the first two weeks, an enormous amount of activity has happened,” Salama told AFP. Matshidiso Moeti, WHO’s regional director for Africa, also told AFP she was “very confident” the agency’s response this time was robust and efficient. “The reform of the WHO emergency programme is working extremely well,” she said. Doctors Without Borders (MSF), which was one of WHO’s harshest critics over the West Africa outbreak, agreed that the response this time was far better. “I think much more has been done,” Jean-Clement Cabrol, MSF’s emergency medical coordinator, told reporters in Geneva on Thursday. Last time, he said, it took WHO “a long time to realise the extent of the epidemic… This time I think the understanding of the risk and of the need to respond is there”. The Gavi vaccine alliance also hailed in a statement that “the response this time has been stronger, faster than four years ago in West Africa”. But it cautioned there was “a need to strengthen further preventive and control measures on the ground”. Swiss medical charity FairMed agreed, pointing out that little had been done in advance to prevent the tragedy. 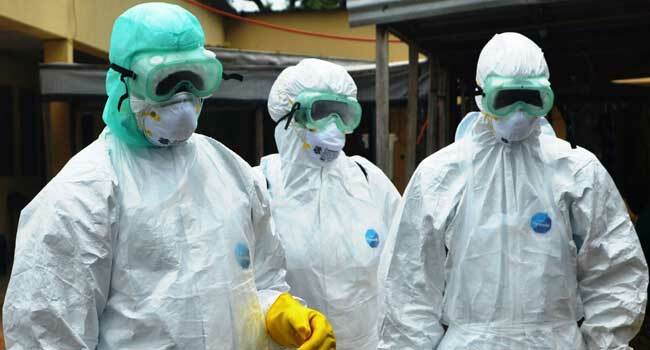 “If you compare to the epidemic in Guinea, and later in Liberia and Sierra Leone, WHO has not missed the opportunity to show it has recognised and applied important ‘lessons learned’,” Bart Vander Plaetse told AFP in an email. But he stressed that not enough had been done to strengthen the “neglected health systems in distress” which permit Ebola to spread. “The firefighters are better organised, but work to prevent the fires remains neglected,” he warned. MSF’s Cabrol meanwhile voiced concern over “insufficient” efforts to inform affected communities about how to protect themselves against the highly infectious and extremely lethal virus, which spreads through contact with bodily fluids. “A large portion of the population does not understand this illness (and) thinks it is witchcraft” or something similar, he said, also cautioning that confusion around the vaccine campaign was complicating the response. The campaign, using an unlicenced vaccine, is only for first responders and anyone who has been in contact with people infected with Ebola, and contacts of those contacts. But Cabrol warned that all of the talk about the vaccine had led some to believe there would be a mass vaccination campaign. “We are seeing people today who refuse to be hospitalised, even though they have tested positive, saying that they prefer to wait for the vaccine,” he said. Moeti meanwhile insisted that WHO fully understood the importance of engaging communities, stressing efforts underway to involve local leaders, priests and others trusted by the people to help spread the message. That is one of “the very painful lessons we learned in West Africa,” she said.